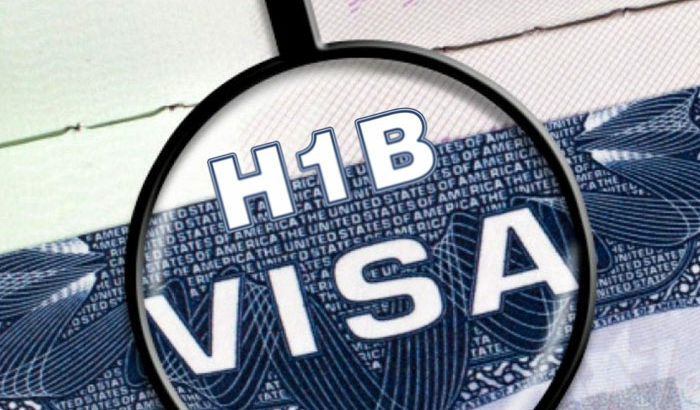 H1B visa has stringent guidelines applicable now. As per the rules which have been implemented now, the documentation should be right for this visa. The candidates must have been assigned with US-based projects for this visa. The company should award particular projects to employees for this visa. In fact, this exclusiveness of the candidates has to be proved for providing this visa. As per the new guidelines, the duration for which a candidate stays in the US on the H1B visa would be lesser than 3 years. Apart from restricting the duration of this visa, the country of the USA has also made it mandatory that the grant of this visa would depend on the immigration officers. So, they can reject this visa if the candidate does not have the qualifications required for his kind of job. Due to such a less duration, the candidates won’t be able to get the PR based on this visa. So, the company inviting such a candidate has to, prove that he is indeed exclusive to the project. Since the duration of the visa won’t be longer than the duration of the project, companies will have to provide specific documents mentioning such a project’s duration and the nature of work involved in it. In fact, due to the coming of Trump in the US, the Indian companies have been finding it hard to put up eligible applications for the H1B visa. There has been a heavy decline of 50% in the H1B applications. Since the H1B visas have increased the conditions applicable for the visa, it’s also true that the profits of Indian companies have been adversely affected. Earlier, these companies were able to have cheaper sources of labor, from India which isn’t possible now. Now, the H1B visa is not getting used, for getting fresher programmers here. In fact, such kind of programming-experience holders, are getting hired from the US rather than getting them recruited from India. So, Indians have to opt for immigration in Canada which is much more feasible as compared to settling in the US. They also have to face crucial site visits, due to which you should not be absconding from the office for a long time. Once you are not found to be on-site in a USCIS site visit, your H1B visa can be cancelled. The H1B visa holders cannot work on a freelance basis. The H1B visa holders should not be caught for crimes such as Driving under influence (DUI) of alcohol. Deportation of a candidate can happen once he is caught for such a crime and he may face deportation. What are the advantages for which you should get Canadian PR? The candidates have access to so many jobs in this country. There are abundant opportunities in this country in places such as Toronto, Calgary, Vancouver, and Edmonton. The unemployment in these regions located in Canada is pretty low, and there are lower rates of unemployment in Edmonton and Calgary at 5.5%. So, this country provides employment to all the people who come here. Vancouver which is one of the bustling cities in Canada has an unemployment rate of 5%. As far as the friendliness of the people is concerned, the candidates can get the most sociable treatment in Vancouver and Toronto and other Canadian cities also. The country has seen an increase in wages because of the high level of development which has happened here. In short, the candidates have an affluent and comforting life in this country. H1B Visa Canada Immigration, H1B visa. permalink.